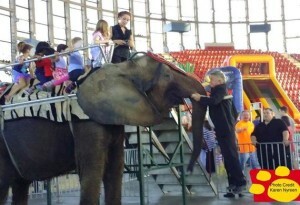 We DEMAND that Secretary Thomas Vilsack of the USDA CONFISCATE Nosey the Elephant AND RELEASE her to a True Sanctuary. This entry was tagged Nosey needs our help, Nosey the elephant, Petitions for Nosey. Bookmark the permalink. Thank you, Jen, for your beautiful words on behalf of Nosey. We will, all of us together, see her free once more. It’s time to release Nosey to an elephant sanctuary. A lifetime of servitude and slavery, she is rewarded with nothing but suffering and loneliness! Her owners have over 200 animal welfare violations, yet Nosey remains their prisoner. The time has come to end her suffering & do the right thing… set her free ! Please release nosey to a safe and caring sanctuary … she has endured too much pain suffering and isolation losing her freedom home and most of all,her family love and security no living being should endure what she has and she now deserves nothing less than to be released from this living hell and given the opportunity to feel the ground beneath her feet free of chains , to be able to walk freely,and be an elephant ….. simple really please listen ??????? Poor Nosey. So very sad for him and all elephants. He needs to go back to his birthplace and live out the rest of his life in the way all elephants have a right to live. Stop the torture release Nosey , enough is enough! He needs to be free , sent him to sanctuary!! Beautiful Jen ! I hope Nosey will be released soon and free from the miserable life he is living now!! Please please please release her. She’s lost her childhood, her freedom, her family. What else can he take from her. Good God, free her and send her to a sanctuary! I love you Nosey, we are trying so hard to help you. We are doing the best that we can. I am sorry that some people will not support our mission to save you. We will push through no matter what, because we are committed to you sweet girl. Until we see you free, we will not rest. SAVE NOSEY NOW. Nosey needs our help in all 50 states. Just banning animal circuses in one state won’t do the trick. It has to be across the USA. 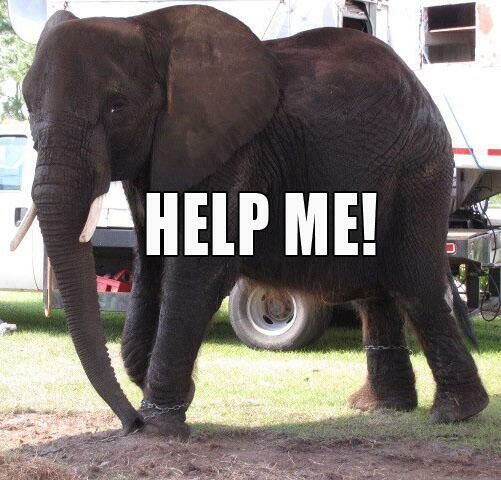 Nosey, chained, beaten, starved, made to take people on rides, trained in a crush cage…………………my heart aches. Please sign the White House Petition and be sure to confirm your signature. What does it take for you selfish people to let this poor animal retire?? Can’t you see the pain and suffering she’s going through? You are very greedy and completely clueless as to the suffering she’s going through. Please release her IMMEDIATELY ?